Life member- Jeffrey Nadrich member of the Multi Million Dollar Advocates Forum and the Million Dollar Advocated Forum America&trade. The Million Dollar Advocates Forum is pleased to announce that California Personal Injury Attorney Jeffrey Nadrich has been certified as an Advocates Forum member. The Million Dollar Advocates Forum has been recognized as one of the most prestigious group of plaintiff automobile, motorcycle, bicycle and personal injury lawyers in the United States. Million Dollar Advocates Forum membership is limited to lawyers who have won million and/or multi-million dollar verdicts or settlements. There are only 3,000 members throughout the country which is less than 1% of all lawyers in the United States. Our membership is a recognition of our tireless advocacy fighting for our personal injury, automobile, motorcycle and bicycle clients. Jeffrey Nadrich is a graduate of the nationally renowned University of California, Hastings College of the Law. He completed his undergraduate work at the acclaimed University of California at Berkeley. 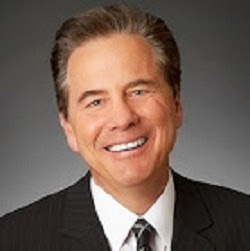 He has been one of the premiere personal injury attorneys in California for decades. As a result he has 13 offices located throughout California. The Nadrich & Cohen law firm specializes in automobile, motorcycle, bicycle, dog bite, wrongful death, mass tort, pharmaceutical recall, medical devices, defective products, and all other personal injury accidents. Because of our success over the decades we have grown to 13 offices conveniently located throughout California. We have an office near you. Our success rate in representing personal injury and automobile, motorcycle victims is over 98%.